Choices and open-ended questions are needed for increased student engagement and motivation in learning. Choosing is a skill that can (and should) be taught. It relates very straightforwardly to problem solving skills. If there is just one correct answer, and students should find it, no thinking or choosing is needed, and less learning occurs. Open-ended questions help us to understand better what the student thinks. Feuerstein, R., & Falik, L. H. (2010). Learning to think, thinking to learn: A comparative analysis of three approaches to instruction. Journal of Cognitive Education and Psychology, 9(1), 4-20. Metacognition needs to be emphasized and taught as a byproduct in every class. How cold anyone be proficient in learning, if they don’t have the information how learning happens best? We teachers sometimes forget that students don’t have all the same information we do. Students academic self-concept is important for their learning competence, and if you are a university instructor, please remember that it is never too late to help students to find their confidence as learners. Sharing tools how others learn is an important part of any educational event. Alexander, P. A. (2008). Why this and why now? Introduction to the special issue on metacognition, self-regulation, and self-regulated learning. Educational Psychology Review, 20(4), 369-372. Pedagogy should be the focus in the classroom, and preferably in the literal meaning of the word “to lead the child”, i.e engaging students in learning facilitation instead of pre-scripted instruction. Students’ learning dispositions and the instructor’s teaching dispositions are equally important in the teaching-learning situation! Shum, S. B., & Crick, R. D. (2012, April). 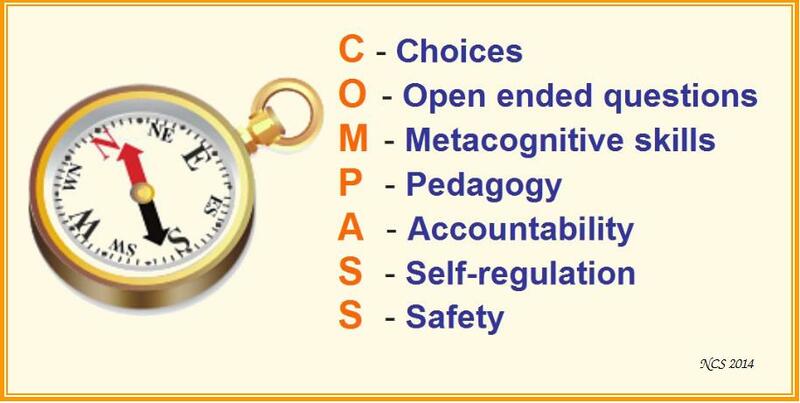 Learning dispositions and transferable competencies: pedagogy, modelling and learning analytics. In Proceedings of the 2nd International Conference on Learning Analytics and Knowledge (pp. 92-101). ACM. Student’s accountability in their own learning is far superior measure for achievement than externally set teacher accountability could ever be. Furthermore, in the Berry & Sahlberg article the external accountability measures seemed to prevent teachers from using effective small group practices. That sounds just downright wrong to me. Teachers are the learning professionals. They should get to design the instructional method that best fits the group of students they are teaching. Bryk, A. S., Sebring, P. B., Allensworth, E., Easton, J. Q., & Luppescu, S. (2010). Organizing schools for improvement: Lessons from Chicago. University of Chicago Press. Self-regulated learning is essential for academic success. After all, learning IS individual, and the sooner students learn to self-regulate their own learning needs, the more likely they are to become lifelong learners. The world is changing very fast, and it seems that the pace of change is not going to slow down anytime soon. This presents the dire need for every student to become a proficient lifelong learner, so that they can update their skills and keep up with the pace of the progress. Scardamalia, M., & Bereiter, C. (2006). Knowledge building: Theory, pedagogy, and technology. The Cambridge handbook of the learning sciences, 97-115. Zimmerman, B. J. (2000). Attaining self-regulation: a social cognitive perspective. Handbook of self-regulation, 13-39. Safety should be a given attribute in every school. In addition to ensuring the physical safety, the learning environment MUST be emotionally safe for students to engage in higher level thinking (check Maslow if you don’t want to take just my word for it). Students spend a lot of their time in school and classroom. If we want to have well-adjusted and balanced citizenry in the future, then the learning environment should contribute towards that goal. Willms, J. D., Friesen, S., & Milton, P. (2009). What did you do in school today. Transforming classrooms through social, academic, and intellectual engagement. Fixed mindset is a scary thing. It prevents us from seeing/hearing other options or opinions than the ones we have already selected. And if this option happens to be the idea of the teacher being the main source of information for students, I can understand how ridiculous learning facilitation sounds. Yet, in today’s world we have more information available than ever before and it would be unwise for any teacher to imagine this fact NOT having an effect on teaching practices. We can’t (and shouldn’t) keep students in a vacuum where they don’t hear anything that is in contradiction to what they are being taught. This could only happen in a totalitarian world where just a single one truth (or correct answer) is accepted (Nina’s personal note: somehow this always makes me think about multiple choice testing, I am sorry!). This transfer of static facts is hardly learning, even though it can be teaching: transmitting our culture to the next generation. Of course, one purpose of formal education IS to preserve the culture. Yet the other, equally important purpose is to prepare students to face the world we know nothing about, the future. In today’s world, where the amount of information doubles with increasing speed, it is important to build strong thinkers and lifelong learners. And learning starts from wondering. I can see how having just one single correct answer feels safer than having too many choices – but we really need to teach students how to choose wisely, because we cannot contain them from information outside. Their foundation for thinking and comparing must be wide and solid enough to sustain observing foreign ideas, and the framework of their learning must be strong enough to allow flexibility. Having the freedom to explore, but also safety to return is the same strategy a safely attached two-year-old uses: gradually moving in larger circles away from the parent, but returning to her/his lap when needed. How can we foster this same combination of freedom and safety in education? While attending the AERO – Education Revolution Conference last weekend I admired the way different teaching-learning disciplines came naturally together. Differences were not emphasized, but the things we all shared: lifelong learning, free sharing of information and using communication for understanding. Negotiating the meaning of a word or concept happened frequently and spontaneously, because I cannot expect others to understand my subjective connotations. Why are we not using this tool more in education? I think we should. Our students may be using the same words we do, but their understanding about it differs from ours, I can guarantee this. And because we are not attempting to create clones (I sure hope we aren’t!) , we should create lots of opportunities for negotiating the meaning (=personalized understanding) of the concepts that belong to our curricula, and thus provide students with the opportunities to reflect and create connections to existing knowledge and understanding. While thinking about student motivation to ponder and participate, one simple thing becomes clear to me. The ultimate question in investing my time and my effort in thinking and learning usually is: What’s in it for me? What do you do to provide your students with this one important piece of making their learning more meaningful? How do you help them wonder? Does your classroom have hidden expectations? Teaching is a funny profession. Everybody has an opinion about it, because they have been involved with it, either as a student, a parent or a teacher. That is why classrooms carry loads of emotional baggage, thus always being a battlefield for different sets of expectations. Every single person entering a classroom has their own expectations regarding learning, teaching, socializing or just education in general. It might not be a clear expectation, or even something they would have actively been thinking about, nevertheless it creates a filter that “colours” everything this person sees in the classroom. Think of coloured shades: depending of the colour of the lens, the whole classroom looks different. And this expectation makes us see exactly those things we want to see (or what we don’t want – because the focus can be the negative expectation, too). Students’ expectations for school or learning in general are far from realistic, but this does not diminish the emotional and cognitive effect of them, unfortunately. And these hidden expectations that are never discussed tend to appear as “ghosts” in the classroom: hard to detect and hard to address or handle. But they they have a strong effect on how your students learn. Have you ever heard about inherited math-phobia? A belief how nobody in a family has ever been good at math. Or how in some other family nobody has ever read well…? Or how a student is highly intelligent in one area, and thus should only concentrate on improving that single skill? You know what I am talking about, right? These expectations will make learning very hard for students, unless they are addressed in the class. Learning is a complex process, and we don’t even know all factors contributing to good quality learning. But we have learned about things that make learning harder. One of these things is poor communication, when the message is received in a very different way than it was sent. Hidden expectations are one part explaining why and how this happens. Utilizing focused and effective feedback in your classroom is one way of addressing these hidden expectations and ensuring that you and your students are talking about the same things. It creates opportunities to understand what your students are thinking, and provides situations for asking those important open-ended questions. Discussing expectations should be one part of casual communications in education. After all we share the ultimate goal: to see our students succeed in their lives (and studies, too).